The perfect baking cookbook for the beginning baker or for those who need to bake something last minute! Simple recipes in an easy-to-follow format. All recipes are sodium-free. Also includes egg-free and wheat-free recipes. Each recipe has a full-colour picture and includes comments about the recipes from those who had the pleasure of tasting them! Perfect for baking with children. Mix It! Make It! 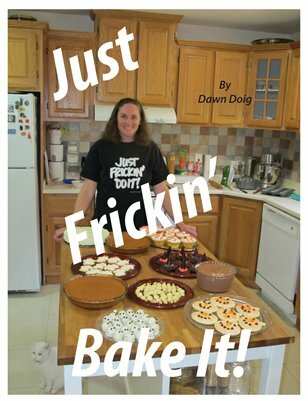 Bake It!